Preheat oven to 350°. 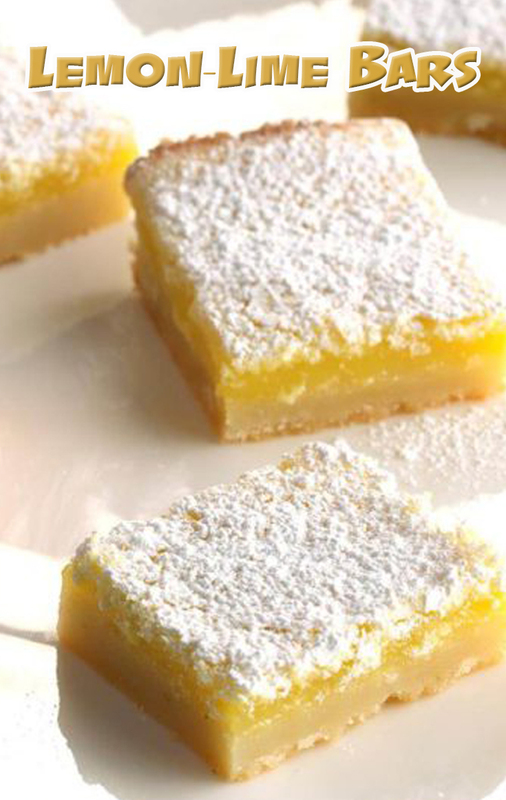 In a large bowl, cream butter and confectioners' sugar until light and fluffy. Beat in lime zest. Combine flour and salt; gradually add to creamed mixture and mix well. Press into a greased 13x9-in. baking dish. Bake just until edges are lightly browned, 13-15 minutes. Meanwhile, in another large bowl, beat eggs and sugar. Combine flour and baking powder. Gradually add to egg mixture. Stir in lemon juice and zest; beat until frothy. Pour over hot crust. Bake until light golden brown, 20-25 minutes. Cool on a wire rack. Dust with confectioners' sugar. Cut into squares. Store in the refrigerator.